This is a great group photograph received from Tony Dunne. That’s him with his little brother sitting on his lap. 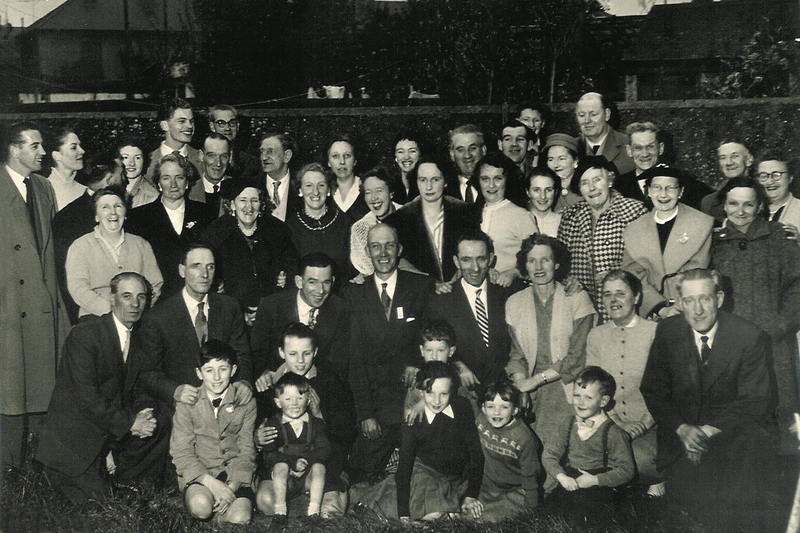 Here we see three families, the Dunne’s from number 114 Cabra Road, the Brennan’s from number 116 and the Thompson’s from number 112. They are all gathered together to wish a fond farewell to Paddy Dunne as he prepares to leave his home and family to travel abroad. Now I think most of us from the Cabra area have had similar experiences in our own families as we stood back and watched some of our older siblings putting on a brave face on their final night at home. Behind the smiling faces and laughter and banter there was always the thought ‘will they ever come back’. And of course there was all of the old fears of those leaving home wondering will things work out for them, what will eventually become of them and what if things don’t work out for me? The neighbours never failed to give great support to those going and to those left behind. 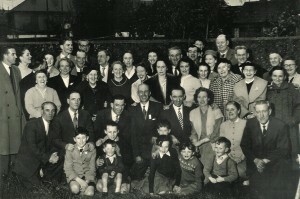 A big thank you to Tony Dunne and his family for sharing this rare moment with the Cabra History.Com website.